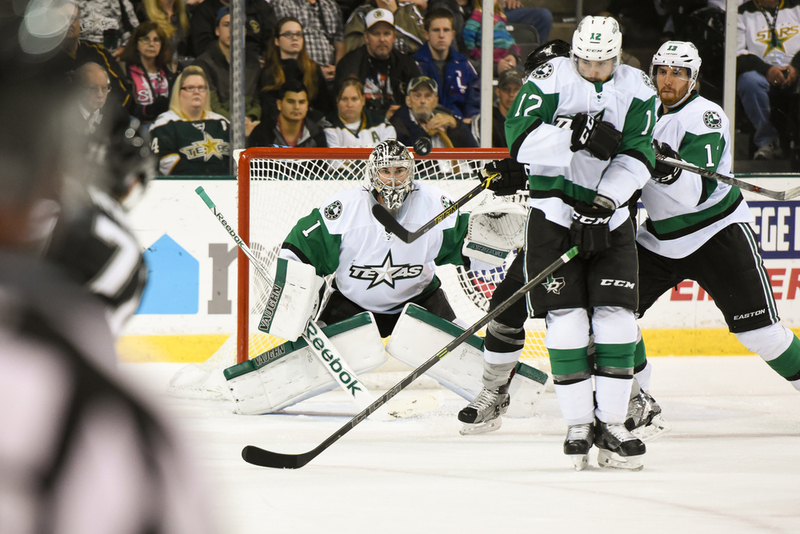 The Texas Stars put forth a great effort on Veterans Day to defeat the San Antonio Rampage 6-3. It was fierce attack by the Stars in the first that had them with 4 points on the board fairly early in the opening period. 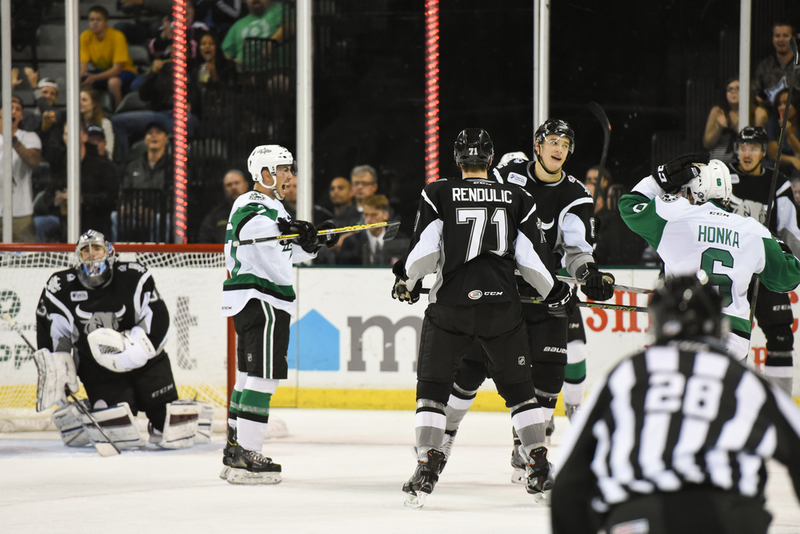 The Rampage would strike back in the third with a couple of quick goals but it wasn't enough to close on the Stars' commanding lead. The first shot is Jack Campbell back in net for the Stars in his season debut after recovering from an injury sustained in pre-season. You can see a puck at about 2 o'clock near his helmet. The second shot is a very happy Greg Rallo celebrating a second period Stars goal. The third shot is Stephen Johns having a not so friendly word with his opponent. 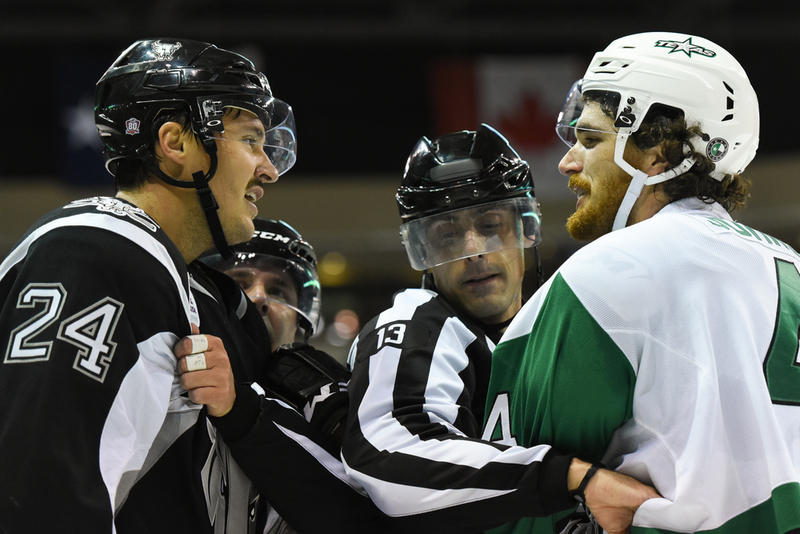 Tempers flared throughout the game, as they usually do when the division rivals come to visit.